Corruption is such a problem in Honduras, already one of the poorest countries in the Western Hemisphere, that some call it the “operating system” in the country. Years of initiatives to resolve this problem have not had much impact. 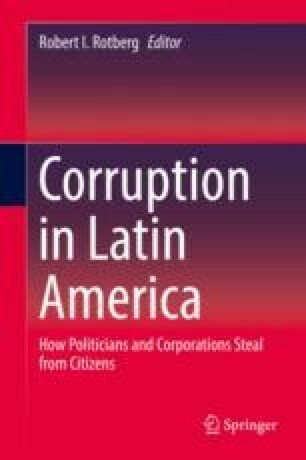 Using the conceptual framework of Complexity and Human Systems Dynamics, this chapter asks: What are the conditions that make Honduras so susceptible to corruption? Corruption is the expression of an incoherent pattern of social conditions. As long as these underlying conditions that incentivize corruption are not addressed, no initiatives, regardless of how well intentioned and how well resourced, will succeed. Using a complexity approach, however, corruption can be reduced.